The wave mural in Mission Beach, San Diego is finished! A look at the Octopus mural for the new MOXY Hotel in downtown San Diego! NEW FINISHED PROJECT! Casita at Palm Springs vacation house! 8'x12' Mural on canvas for San Diego Facebook Community Boost event. TIME-LAPSE VIDEO // CENTERFIELD MEDIA // 'LOCATIONS' MURAL // CALIFORNIA ARTWORKS // 2017. Designed to highlight Centerfield Media's various office locations. 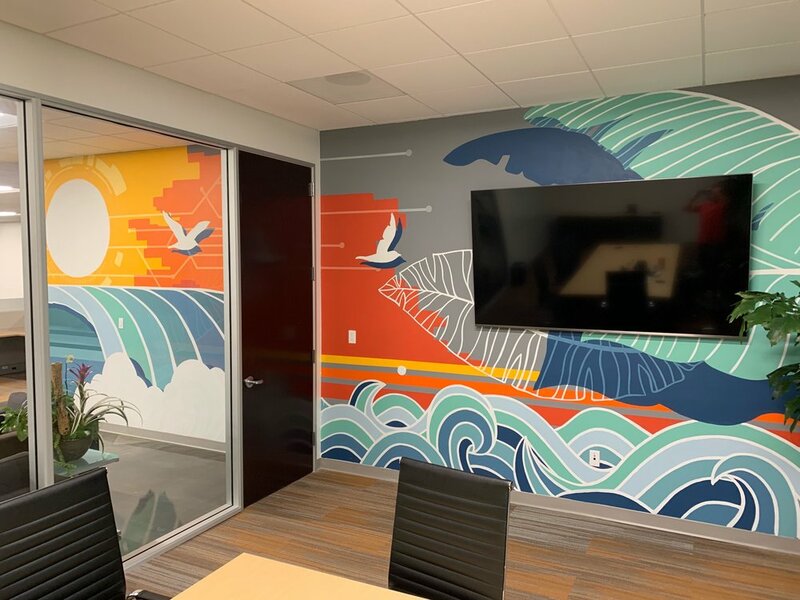 It was painted in their Playa Vista, CA headquarters as part of a 4 mural commission.